It was time for the annual family holiday. 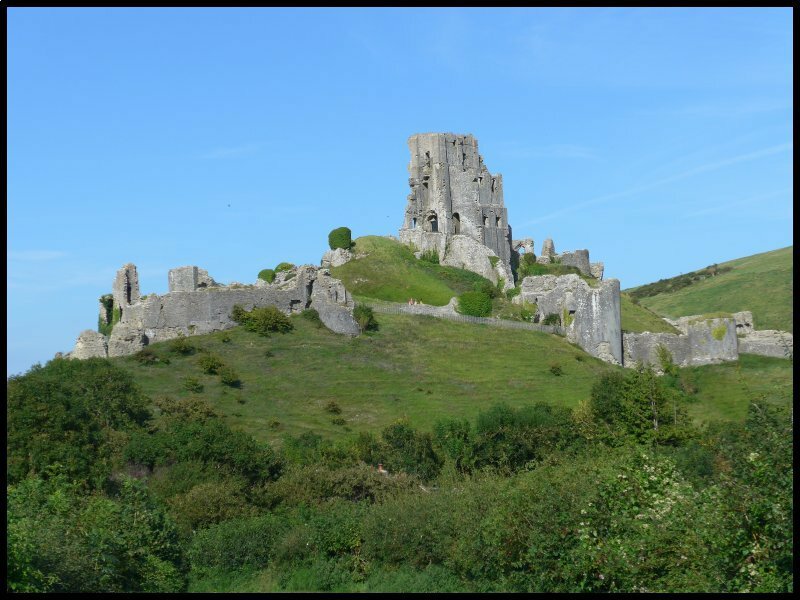 This year, the family had a rented a house in Swanage with me in the caravan – this time at the C&CC site at Corfe Castle. They were from Saturday to Saturday but I travelled on the Friday having had a terribly slow journey. 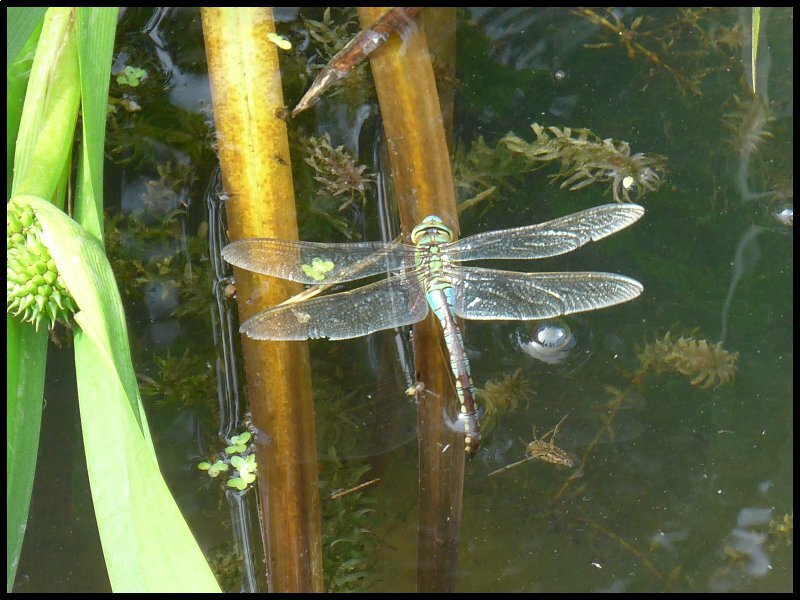 If you’ve read my previous blogs you will know that within ten miles of leaving home I reach the M25 – whether I’m heading east, north or west. The congestion on the M25 together with delays at other points gave me a driving average for the 120 miles of just 30mph. But by mid-afternoon I had the van levelled, all plugged in and water connected. The site does not offer wifi but my Huawei mifi and a Three data SIM card gave me a connection on my laptop. At the end of the afternoon I drove down the road towards the village and stopped to take in the superb view of the Castle. As it was quite late in the day I didn’t go inside so instead I took a stroll around. Perched high on its mound, the Castle dominates the area. 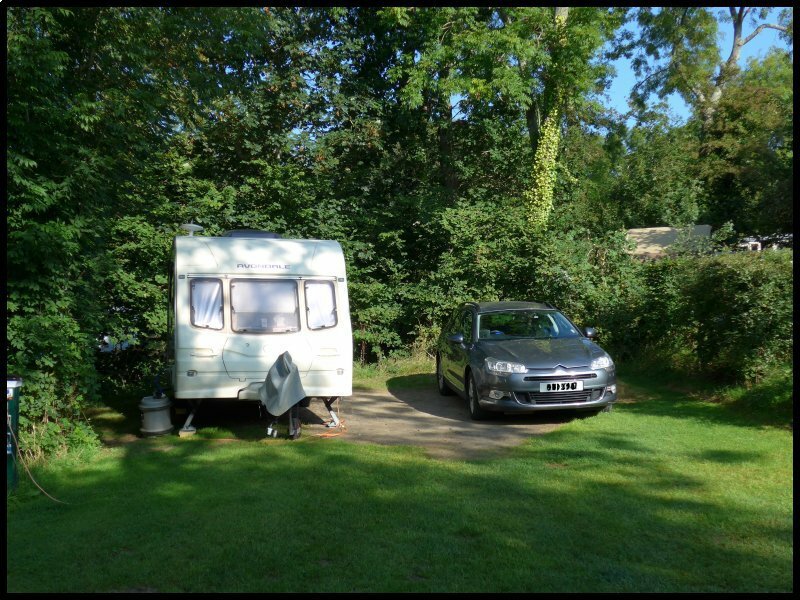 My plan for Sunday was to drive to Studland and park in one of the beach car parks where I was to meet up with the family. My two daughters and grandson were setting off from their house and walking over the downs and along the beaches. Both parties with the agreed GPS coordinates what could go wrong? I left the site quite early to ensure a parking spot. Even at 10.30 the large area was filling very quickly. The park I’d chosen was one of four and at £9 per day from each car, it must prove to be a nice earner for the NT. By midday the family arrived with wet shorts and trousers from having being caught by rising tides as they made their way around a couple of promontories. We took our packed lunches down to the beach. Later during the afternoon we took a walk along the cliff top to visit Fort Henry. 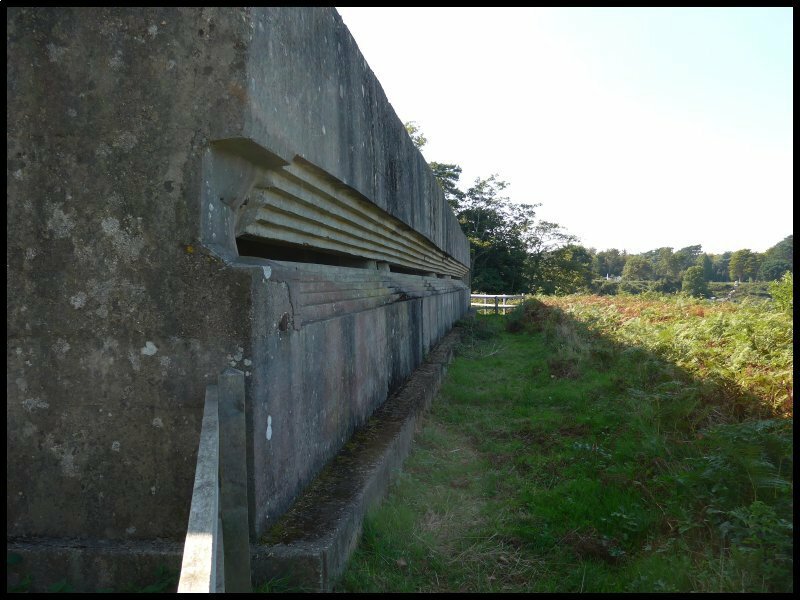 This is a large World War II bunker built to protect the area against a possible invasion. It takes its name from the home base of the Canadian Royal Engineers who built it. Nearby are Dragon’s Teeth (now protected) which were put in place as anti-tank obstacles. 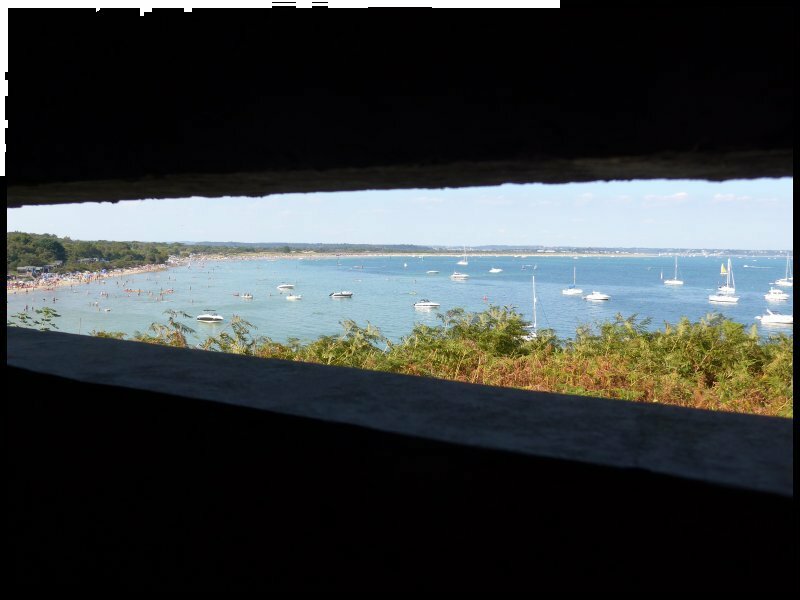 Six weeks before D-Day in June of 1944 Winston Churchill, King George VI, General Eisenhower and General Montgomery used the bunker from which to view one of the live ammunition rehearsals for the invasion of Normandy. Just two weeks earlier in another rehearsal six experimental tanks which were supposed to be able to ‘swim’ ashore sank before reaching land. The tanks are still on the sea-bed and together with several sunken ships have become favourite dives for enthusiasts. A memorial to those tank crews who lost their lives has been erected nearby. 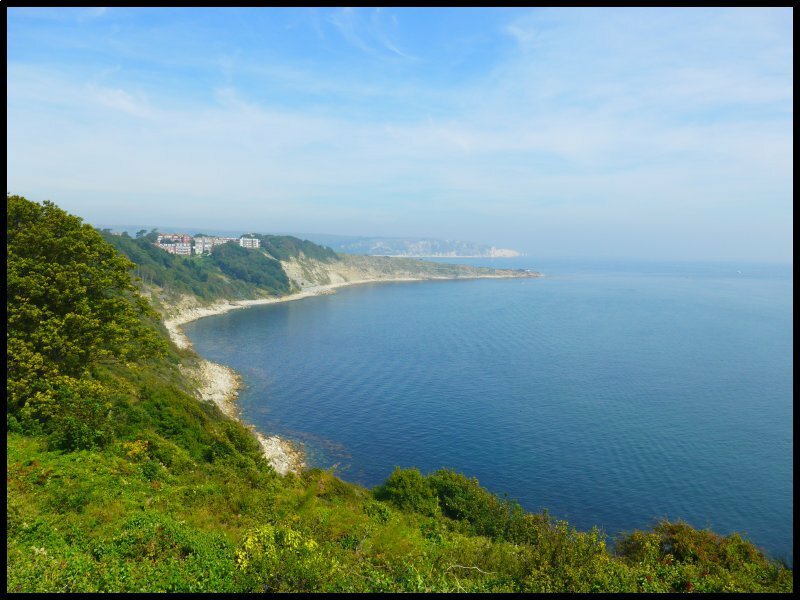 On Monday I drove to Durlston Country Park. To my surprise the car parks were not very busy. Obviously the beaches are the family favourites. The girls were walking via the coastal footpath from their house and meeting me there. But first I needed some change for the machine. I wandered downhill towards the Castle and visitor centre. I asked inside but he offered to sell me the parking receipt there and then. 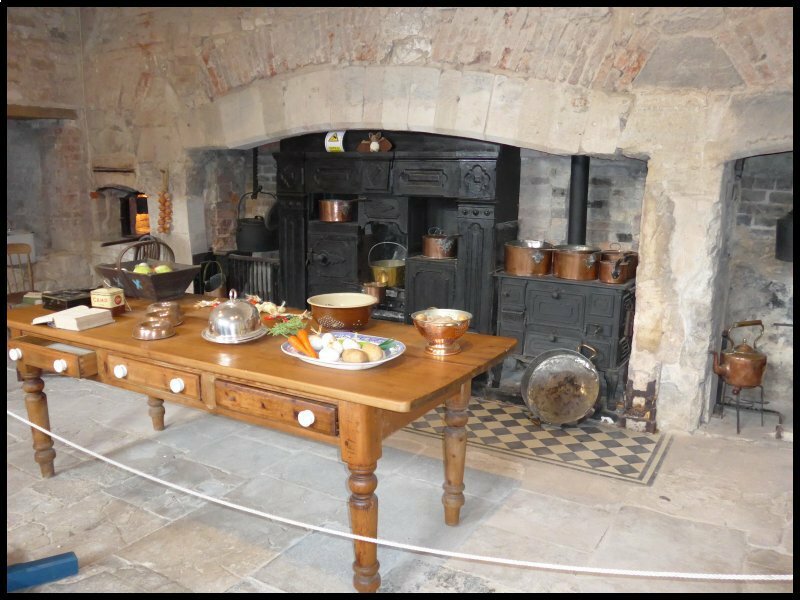 The Castle was built as a folly in the late 1800’s by George Burt on his newly acquired estate and it has always functioned as a tea room/restaurant. The visitor centre is a modern building which from the roof has some spectacular views. Later I wandered further down hill to see the large Globe. It was there where I met up with the family. The Great Globe was carved in the Greenwich stone-yard by Burt’s uncle, John Mowlem, the founder of the building contractors and brought to Swanage by sea. 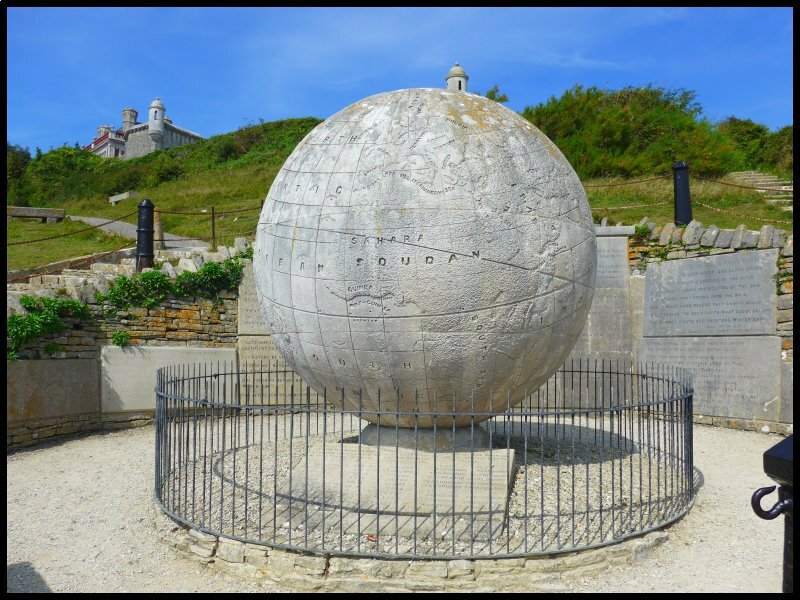 The Globe is constructed from 15 segments of Purbeck stone, has a diameter of three metres and a total weight of 40 tons. Around the globe is an ornamental chain supported on a collection of cast iron bollards salvaged from various streets in London. After a picnic lunch the girls set off to walk to Durlston Lighthouse whilst I unloaded my bike to cycle there. That however was quickly scotched by an estate worker who quoted me the no cycling rule – along a paved road built for the passage of authorized vehicles? We decided to end our day with dinner at a local Indian restaurant. The meal was good. What lost the waiter his tip was his carelessness in knocking over my glass of Cobra and dumping most of it into my lap. 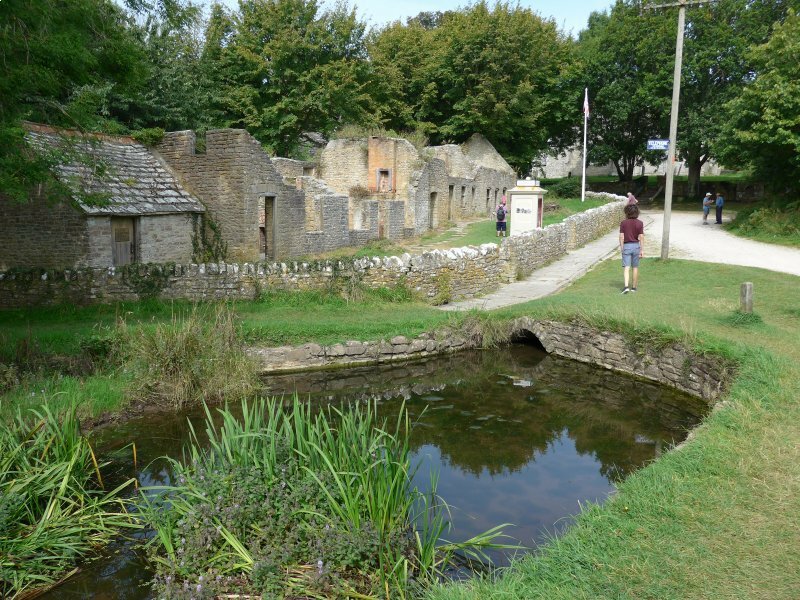 Tuesday’s visit began with the short drive to the deserted village of Tyneham. When it was almost Christmas in 1943 the residents were given just 28 days notice that they were required to leave their homes and find alternate accommodation. Great swathes of the countryside were required by the military as a training ground for the forthcoming invasion of Europe. An undertaking (by Winston Churchill) was given that with the war’s ending, the residents would be allowed back again.. However that didn’t happen. Even now, 75 years later, access is given only on certain days of the month as the entire area is still used as a tank battle training ground with live ammunition being used. All the homes have had the roofs removed and made safe for visitors. 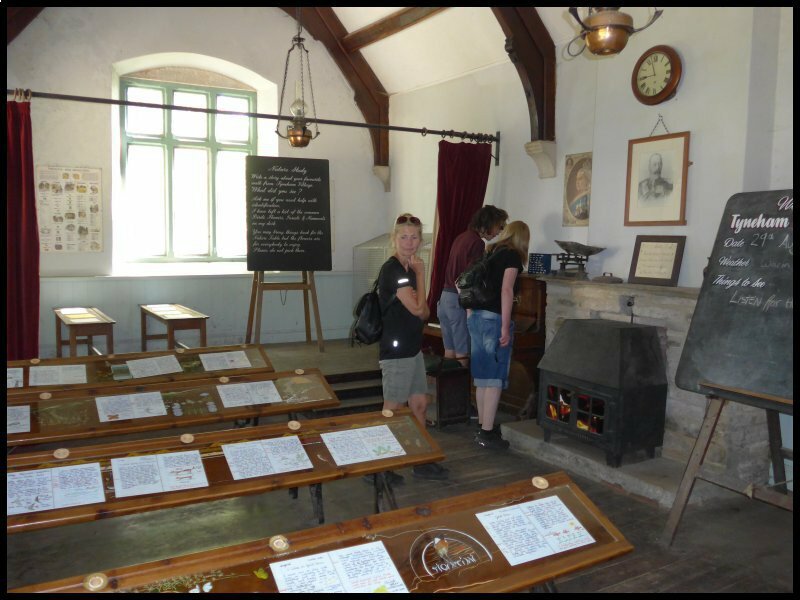 The school room is still intact and set out much as it would have been in the 1900’s. 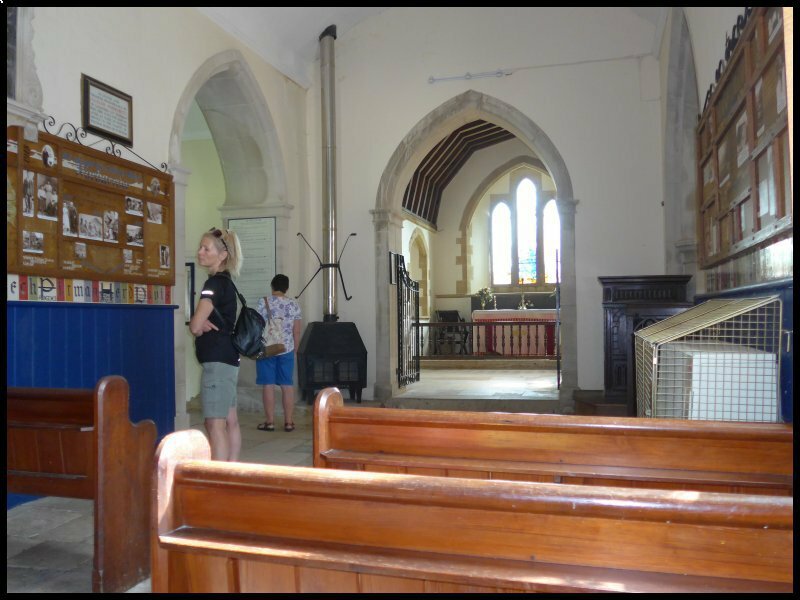 The 13th C church is still consecrated and is used for the occasional service. 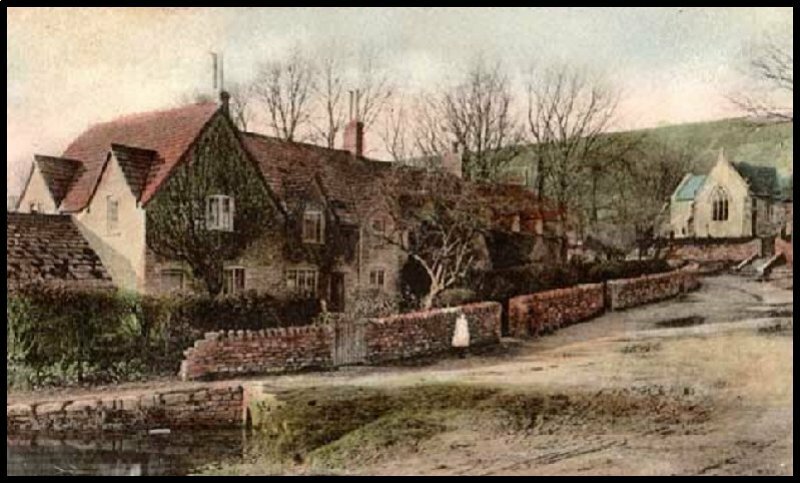 My picture shows the present village and below it, a pre-war picture as it used to be. It looks to be an idyllic setting but when the village was inhabited the houses were without sanitation, running water or electricity. The only water available was from a spring close to the church. A modern notice at the trough declares the water unfit for drinking! 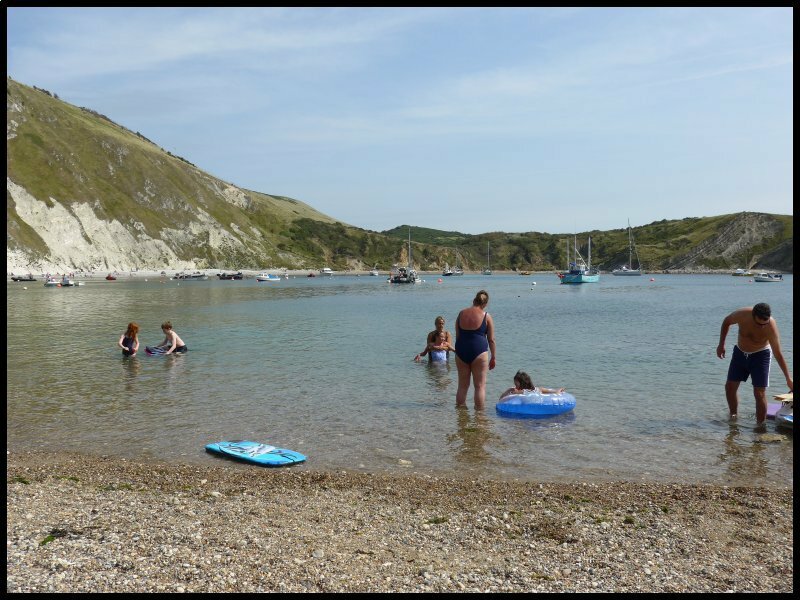 From there, we continued our drive to Lulworth Cove where we again met the crowds. From the huge parking field it’s a downhill walk to the oval-shaped cove. We found a spot on the narrow beach and enjoyed a picnic lunch. 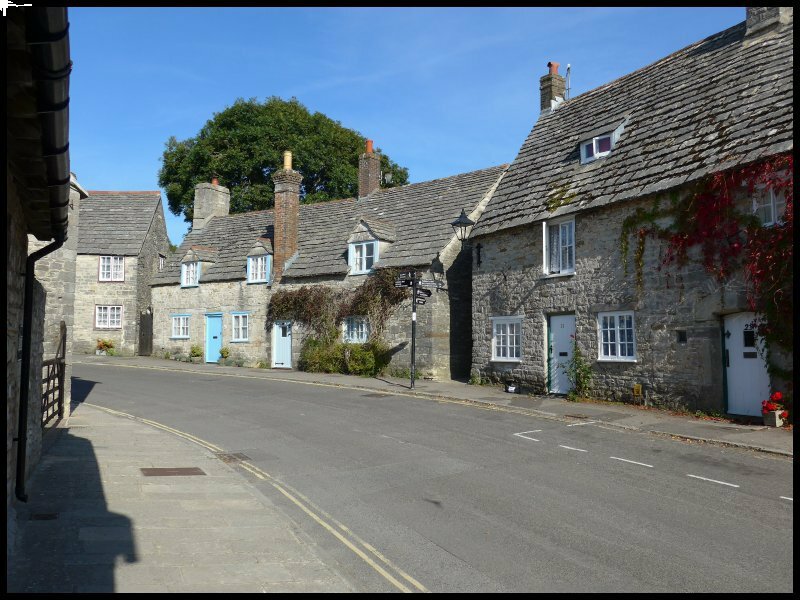 Later in the afternoon we drove to Lulworth Castle. The Castle was built in the early 17thC as a residence for the Weld family but in 1929 the entire interior was burnt out. For more than 70 years the Castle stood roofless and open to the elements. With help from English Heritage the roof was rebuilt and the interior walls reinforced and made safe. The cellars are much as they were when the Castle was in use. 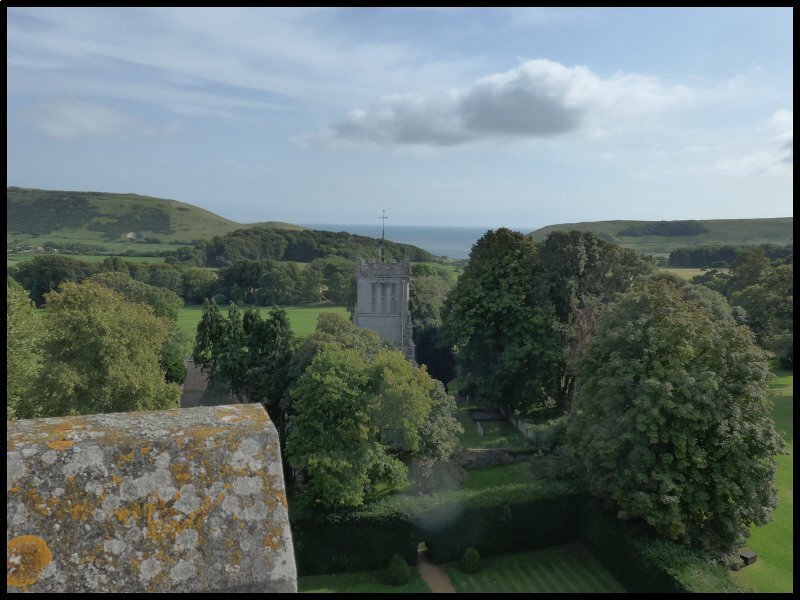 A modern steel stairway has been installed in one of the towers which gives access to the roof with grand views over the Lulworth Estate and the Dorset countryside. A wet day on Wednesday so we spent the morning driving to Shell Bay and taking the vehicle ferry across the mouth of Poole Harbour to Sandbanks and then into Bournemouth. My aim was to visit a trade upvc window factory that I’ve used several times. I’d arranged to collect a small replacement window ordered on the internet a few weeks earlier. Having made the collection we drove into the town with the aim of parking close to the front. We did indeed find a parking bay but at an eye-watering £2.50 per hour. With it still drizzling we decided not to stay. Instead we found an out-of-town Tesco store and did some much needed shopping. On Wednesday evening we made our plans for Thursday. 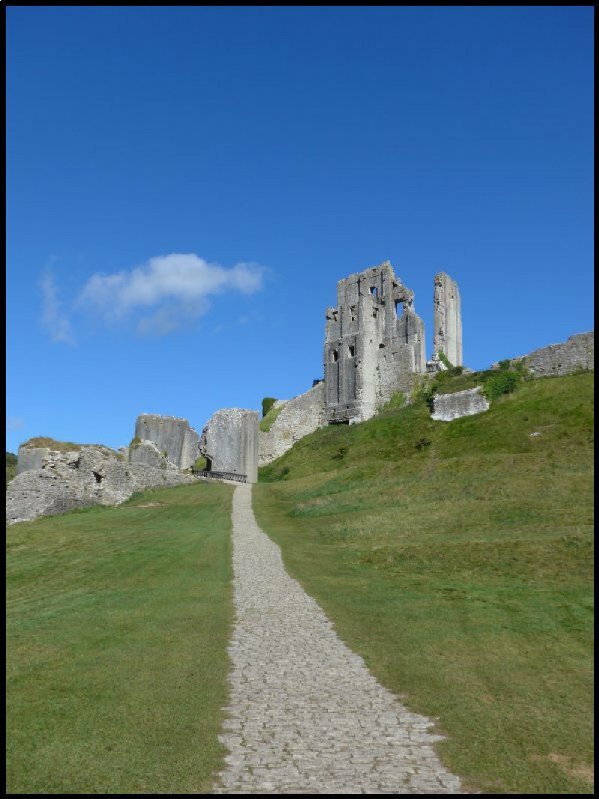 The girls and Sam decided to do the walk from Swanage to Corfe Castle. 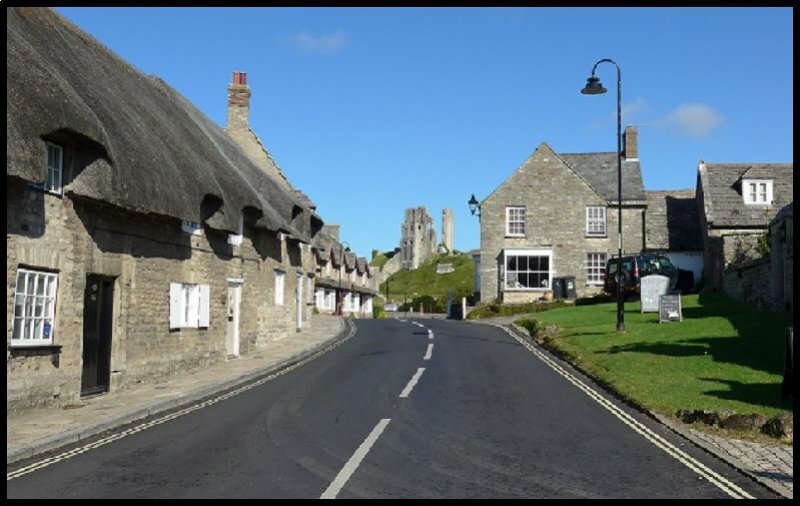 They began by climbing to the top of Nine Barrow Down then along the ridge before dropping down into Corfe Village some five miles away. Meanwhile I left the site quite early and found a handy parking spot in the village and close to the Castle. 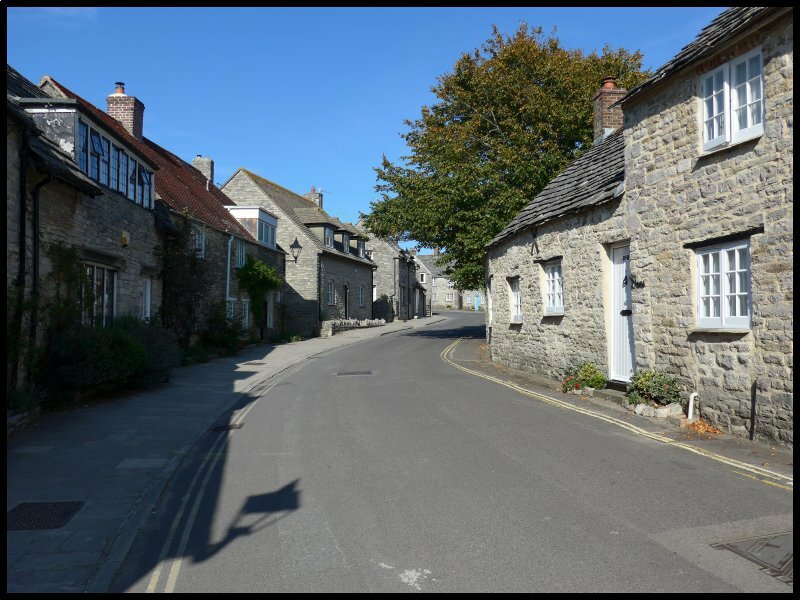 I spent the time before the Castle opened by taking a few pictures around the village. At 10am I was probably the first customer of the day. 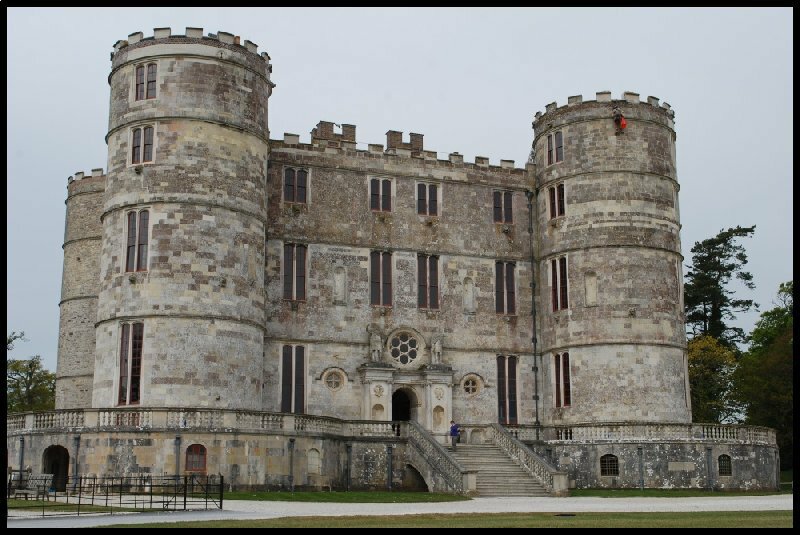 The Castle here was one of the first to be built following the Battle of Hastings and within forty years it had become one of the most fortified castles in England. Queen Elizabeth was the last royal owner and she sold it to one of her favourites, Sir Christopher Hatton. By 1635 it had come into the possession of the Bankes family in whose ownership it stayed right up to 1982 when it was given to the National Trust. The Bankes family were supporters of King Charles and they managed to hold off two sieges during the Civil War. But finally they were forced to surrender and the castle was partially demolished with gunpowder on the orders of Parliament. Mary Banks, a 70 year old member of the family was found guilty by the infamous Judge Jefferies of harbouring a supporter of the King. She was sentenced to be burnt alive however in view of her age the penalty was reduced. She was beheaded instead. 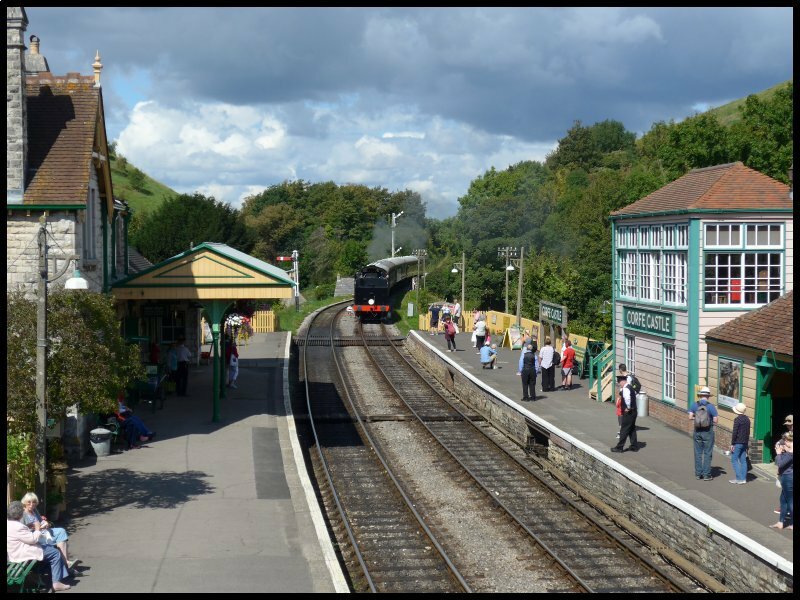 After leaving the Castle I wandered down to the train station to see if I could catch a glimpse of a steam train. 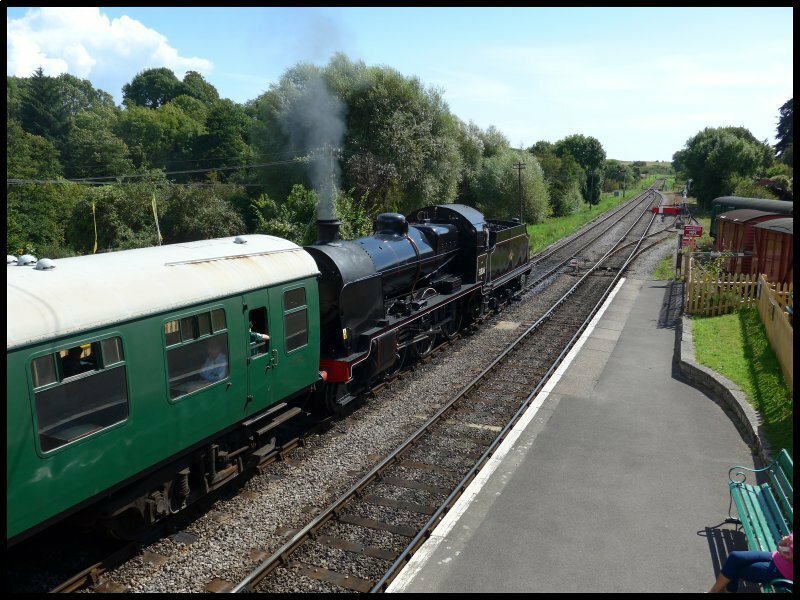 Just as the train arrived a text message told me that the family were almost at the end of their walk. We did the short drive back to the site for a late lunch. Friday was the girls’ last day. 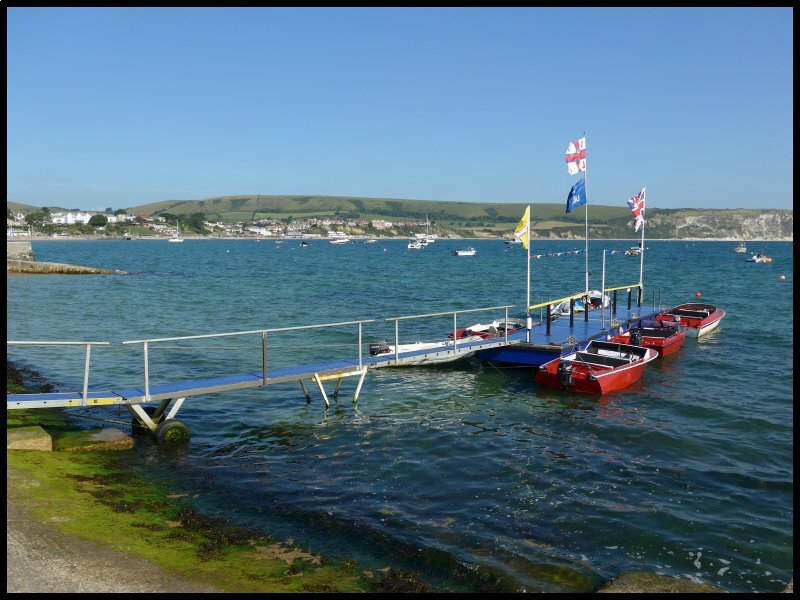 We decided to go to Swanage beach and take a self-drive motor boat around the Bay. 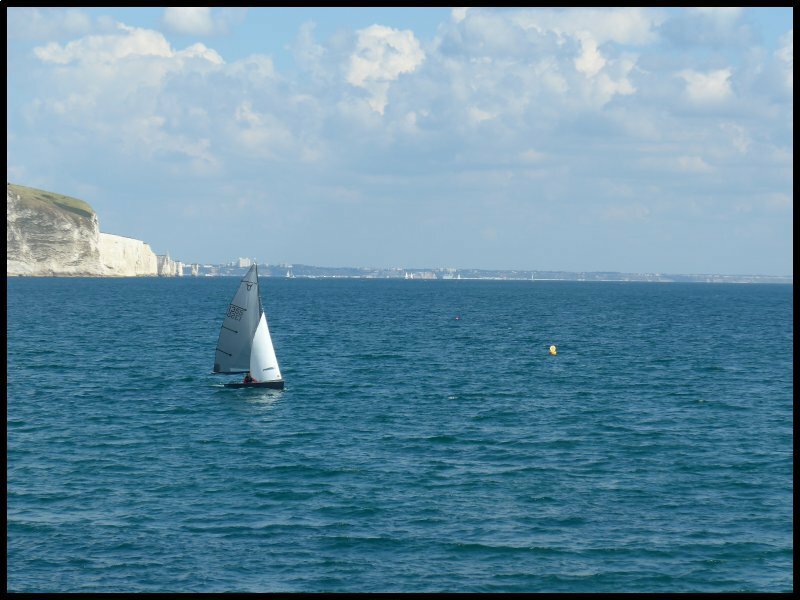 Fortunately the sun was shining and the sea was fairly calm. Later we walked along the pier and found a pleasant spot to have a packed lunch. During our walk we booked a table in a nearby restaurant for dinner. The family were leaving for home at 10am so after a quick goodbye I drove as close as possible to Peveril Point and parked the car. From there I set off to walk to the coast guard station. What a grand vantage point it is. 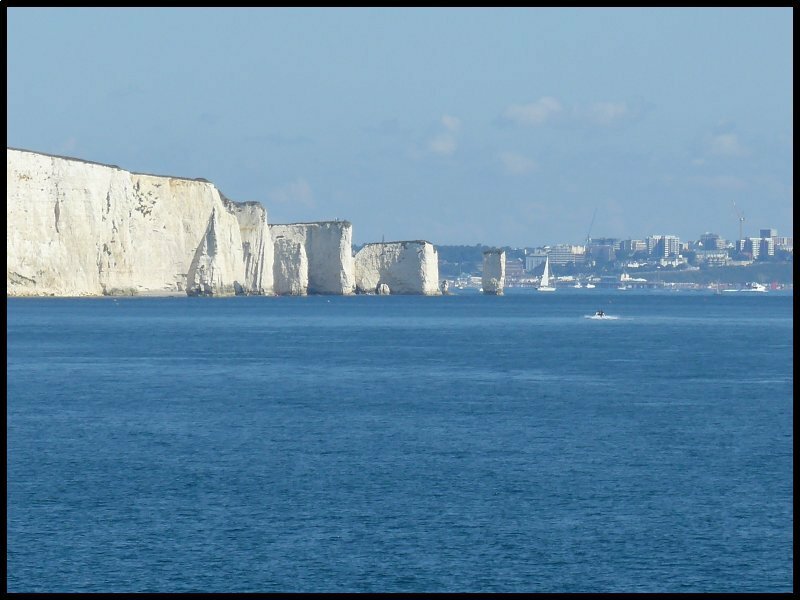 Across on the other side of the Bay is Ballard Downs ending with the Old Harry Rocks with the cliffs of Bournemouth beyond. 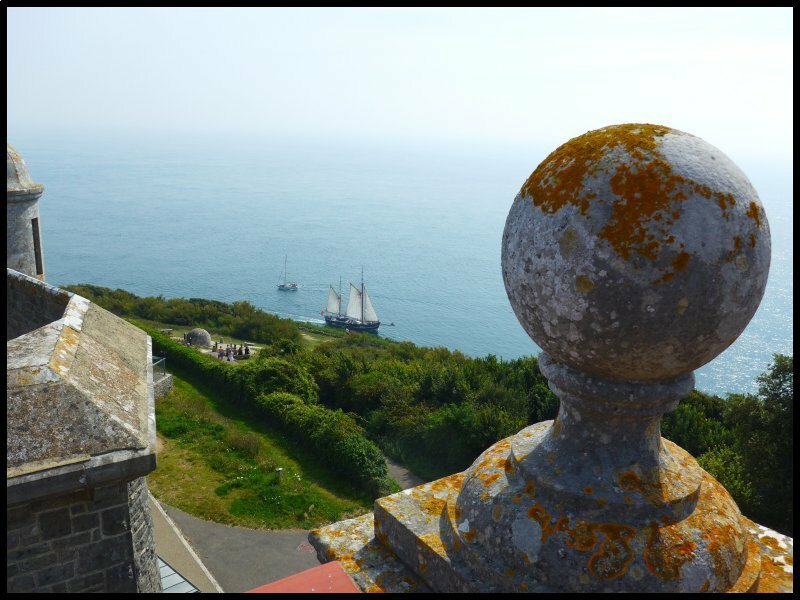 Looking out to sea, the coastline of the Isle of Wight was visible, whilst looking the other way, high up on the cliff is the Globe and Castle which we visited on Monday. Eventually I returned to my car where I consulted the weather forecast. Tomorrow, the day I was due to return home, was forecast to have heavy rain for most of the day. After a late lunch I decided to leave early that evening. I was ready to roll by 5pm so I hitched on and left. Traffic was reasonably good and I arrived home without having had a stop at 7.30pm.